Sign up for Monoprice's email list and they'll send you a unique code you can use on your next purchase. Please allow up to 3 days for the code to be emailed to you. 6ft black, high speed HDMI cable. Our bread and butter. You know a premium HDR cable for your high definition needs. Up to $300 off 3D printers + Free Shipping! All types of 3D printers from now until 2/17! NEW Strata Home Sous Vide Immersion Cooker 1100W! Help Santa clean the North Pole! Up to 70% off Holidays Clearance! Deck these halls clean! BIG DISCOUNT! Strata Home Powered by Stitch Smart Robotic Vacuum! $239.99 & Free Shipping! Brand new stock! Brand new Monoprice MP10 3D Printer! New model, affordable price, same Monoprice quaility! Free shipping on all orders on Monoprice.de!!! 30 day money back guarantee too! What do you have to lose?! Free shipping on select tech on Monoprice.uk! Tech and 3D printers are going at great low rates with free shipping! Keep Your Stuff Cold for Hours! Free Shipping! Prices starting at $79.99 for All Pure Outdoor Emperor Soft Coolers! Monoprice makes cheap and high quality soundbars! Monoprice Home Theater Soundbars! Prices starting at $59.99 + Free Shipping! Free Shipping on Pure Outdoor Rotomolded Weatherproof Cases! Get the best quality sound with this headphone amplifier! Only $299.99 for some high end headphones! Monolith M1060 Planar Headphones are worth the upgrade! 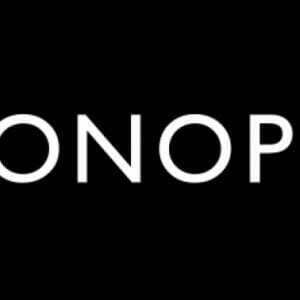 Since 2002, Monoprice has established a stellar reputation in the online market niche. Most likely this can be attributed to their high-quality products and top notch customer service. Monoprice is unique in that it sells premium products at a fraction of the market price. Besides this, the store boasts an impressive inventory of over 7000 affordable accessories and electronics shipping to consumers in Australia, United Kingdom, Canada, Brazil, Bermuda, Colombia, China, Costa Rica, France, Denmark, Finland, India, Germany, and Greece. Monoprice accepts a wide variety of payment methods including Discover, Master Card, Visa, PayPal, American Express, Cashier checks, and Mail Payment. On this note, import duties are not included in the product price. This implies that international customers are solely responsible for taxes upon delivery of their products. As long as your product is in stock, and it is placed by 2:00 PM PST it ships on the day you successfully check out. And once an order has begun its journey to you, you can track its progress on Monoprice’s website. The store uses the following shipping methods. USPS Priority, FedEx, FedEx , Freight GSO, and DHL. Coupon codes, promotions, and discounts are displayed on the store’s website or are sent to you after signing up for their newsletter. If you already have a coupon code, here is how to use it. Login to your Monoprice account and click on the shopping cart icon located on the top right-hand side of the website. A window titled my “My Cart” will then pop up. Once you are on this page, you will see a box below your item. Go ahead and enter your coupon code and check out. If for whatever reason, you would like to contact a customer service representative, there are several ways to do so. Live chat: For quicker responses, you can use the live chat feature on the store’s website. The chat is available from Monday to Friday between 6:00AM – 6:00PM PST. Telephone: Like live chat, contact hours are from 6:00AM – 6:00PM PST. They can be reached through the following numbers. If, for any reason you are satisfied with your product, Monoprice facilitates for a refund or return of the item. However, returns are subject to a timetable which begins from the day of delivery. For Monoprice branded products returns have to be done within 30 days after delivery. For 3rd party unbranded items, returns should be made within 14 days after receiving the product. Refunded money is deposited back to the original payment method that was used to make the purchase. It will reflect in your account within 3 to 5 days after being processed. And unless the item is defective as a result of Monoprice’s error, the shipping fee is not going to be refunded. In addition, you might also be charged a restocking fee of up to 15 percent of the product’s value and any other applicable taxes. NB: After the refund has been successfully processed, the store cannot reverse the money to any other payment method. So, in case the method you used to make the purchase is no longer valid, contact customer support before asking for a refund. After an Indiegogo order has been shipped, refunds are subject to a processing fee of up to 15 percent. And for any order that is canceled before being shipped, a similar processing fee of 5 percent is going to be charged. If the reason you will be returning such a product is because it is defective, first contact customer support to see whether it can be repaired. All in all, Monoprice is an ideal online store for anyone looking for affordable electronic products and accessories. And besides an impressive inventory, there are lots of discounts, promotions and coupon codes you can leverage to minimize the burden on your wallet.